There really is nothing like the feeling you get when the curtain goes up at the start of a theatre performance. Your heart races and your body tingles as the first notes of the music reaches your ears. 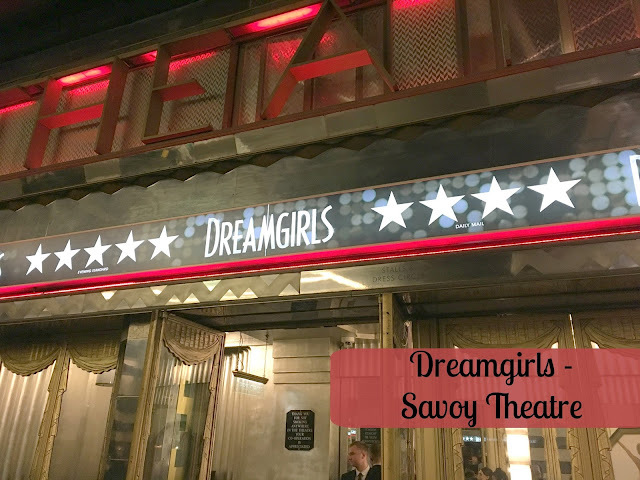 Last week I made another trip into London's west end, and took my seat at the Savoy Theatre, to witness the magic of Casey Nicholaw’s - 5 times Olivier nominated - production of the musical Dreamgirls. Dreamgirls is a captivating story set in the 60s and 70s. It follows The Dreamettes, a young female singing group, through a revolutionary time in American music history. Aside from focusing on the music business, Dreamgirls looks into the lives of the women off-stage and encompasses the themes of love, rejection, friendship and staying true to yourself. It was made into a film in 2006 staring gems such as Beyoncé and Jennifer Hudson, and opened in the west end in Autumn 2016. Amber Riley, best known for playing Mercedes Jones in Glee, was sheer perfection in the role of Effie White. She won the Olivier Award for 'Best Actress in a Musical' this year, and rightfully so. Not only does she have the best vocals I've ever seen live by a mile, but she is also an incredible actress with impeccable comedic timing. Riley was joined on stage by a five star cast, with standout performances from Adam J. Bernard, as the hilariously charismatic diva Jimmy Early, and Jocasta Almgill who understudied the role of Deena so perfectly you would have never known she normally plays an ensemble role. The entire audience was just captivated by the talent of the cast, as proven by the way we found ourselves giving a standing ovation mid-way through some of the numbers. Credit is due to the casting directors of this show as they have really managed to secure a cast who are worth their weight in gold. Dreamgirls is staged using a very simplistic set, which is enhanced using gorgeous lighting that really emphasises the glistening diva costumes. Whilst the staging and costumes were incredible, it is really the soulful music which is the defining point of the show. I was unfamiliar with most of the music from the show - aside from the theatre classics such as 'And I Am Telling You', 'Listen' and 'One Night Only' - but I fell in love with it. 'Steppin' to the Badside' was a particular favourite of mine, and the strong vocals of Joe Aaron Reid (as Curtis Taylor Jr) and the rest of the male cast were paired with slick dance moves. The rendition of 'Listen' by Amber Riley and Jocasta Almgill was flawless, (dare I say it) blowing Beyoncé's version out of the water. And as an audience we spent most of the interval picking our jaws up off the floor following Amber Riley's mesmerising performance of 'And I Am Telling You'. Boy did that woman sing the roof of the theatre. 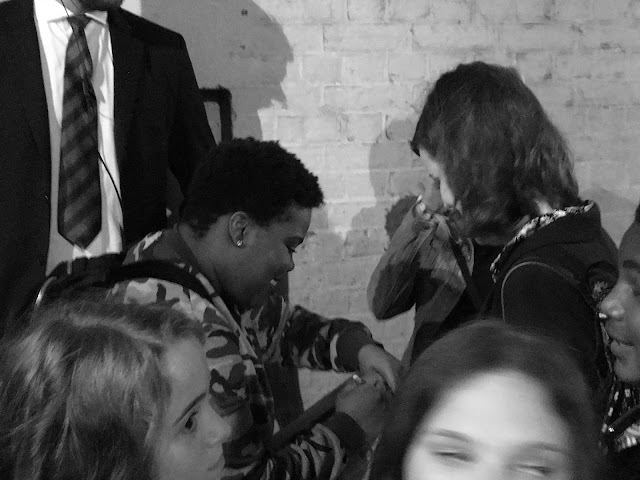 I must also comment on the sheer dedication to her fans that Amber Riley displayed that night. Following the curtain call, she came out of stage door and signed the programs of every single person waiting there for her. I'd made my way to stage door in the hope I could simply catch a glimpse of her, so for her to take the time to talk to me and sign my program (alongside the programs of a few dozen other theatre geeks) was incredible. Dreamgirls is a must-see show. Prepare to have your breath taken away as you witness the power vocals of the cast and the emotion of the captivating production. Dreamgirls at the Savoy Theatre is now booking until February 2018. I love Amber Riley, she is so crazy talented! This is definitely on my list of shows to see! I have never been to the West End but when I hear about performances like this, I realise just how much I'm missing out! This sounds truly phenomenal and so captivating, what a lovely way to spend an evening! Amber Riley sounds like a total sweetheart, committed to her fans, as well! Great post! This sounds amazing! 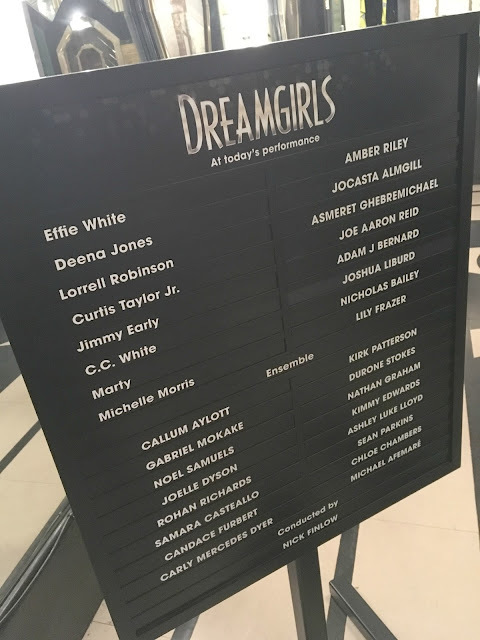 I love plays and musicals and Dreamgirls sounds fabulous! I've only ever seen one West End show and that was Wicked, I'm going to see Harry Potter next month though! Sounds amazing! I'm so jealous :) Ambers done so well for herself since Glee.